In today’s fast paced world, most families keep very hectic schedules. Our work, kids, family, and other social obligations can take up all the precious hours of the day. Because of this, often times the house cleaning tends to take a backseat. 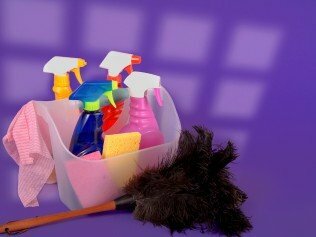 With less time for house work, hiring professional residential cleaners offers many benefits. Due to the need of having better management of time while trying to balance life’s priorities, many people choose to use a professional residential cleaning service. This is where Got It Maid Cleaning Services can help. We make it our mission to take care of your household while you take care of the the important stuff. If you’re like most people today, keeping up with the demands of life can leave you pretty exhausted. Having a clean and tidy home not only creates a strong foundation for many other aspects of your life, but it also ensures you have the peace of mind to endure all of life’s little unexpected surprises. Truth be told, it’s never easy juggling responsibilities such as your family’s needs while also focusing on your career. This is where Got It Maid Cleaning Services comes in. Our detailed cleaning expertise combined with eco-friendly green cleaning products ensure you and your loved ones enjoy the comfort and warmth of a clean refreshing home. Trying to maintain a clean home takes tremendous time and energy. 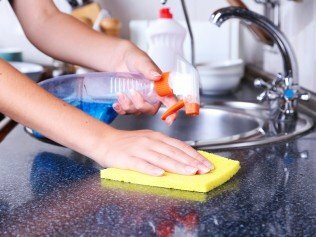 No matter how diligently you try to keep up with all the usual daily tasks, your home will eventually need a more thorough cleaning. Rather than pulling out the buckets, brushes, and special cleaning products, you should consider turning it over to the professionals. Life is hard enough without also having to worry about cleaning your home. At Got It Maid Cleaning Services, our no contract residential cleaning packages are conveniently based around your cleaning preferences, your schedule, and your budget. We invite you to experience the difference today with your free professional residential cleaning services consultation! Contact us today at 540-563-1144. We look forward to working with you. Serving Vinton, Salem & Roanoke VA residents. Hiring a Roanoke residential cleaning company is becoming more of a required service today. It’s a must if you want help with your work / life balance. Just think of the precious time you can spend with your family instead of spending it cleaning your home! Hire a highly recommended Roanoke residential cleaning company today! Our highly trained professionals will clear dust from every nook and cranny of your home and leave your home sparkling. We offer deep cleaning services that will leave every inch of your home thoroughly scrubbed and sanitized. We’ll make sure that your former dwelling is ready for potential buyers and that your new place is clean and sanitized. You can schedule our services for the same day each week or month. We know how busy you are. That’s why we offer flexible times to fit your life. Contact us today at 540-563-1144. We’ll be happy to discuss your options in more detail. From move out cleanings to regular maintenance cleaning services, you can depend on our professional housekeeping crews in Roanoke, Salem and Vinton VA. We put customer service first on every job, and we never rush our work. We devote the right amount of time to each job and won’t rest until you’re completely happy with our work. Schedule your appointment above today. I hired this company a couple of months ago and I have to say I have been very pleased with the whole team. Ralph and his wife (who cleans my house) are wonderful to work with. They come in every other week for me and it is wonderful to know I don’t have to spend my weekend cleaning the house after working a long week. I would highly recommend them to anyone. The price is very reasonable and worth every penny! Thank you for helping me!! Very friendly and professional! I highly recommend and use for home and business. This is one of the best cleaning services in Roanoke. Hands down, it’s the best value for what you get. It’s so easy to use: get a quote, pick a day and then they automatically text you the day before to remind you they are coming. The day never changes, unless you specifically request it. I think I’ve only had to reschedule once in the 2+ years I’ve used this service. They will work with you on what day and time as well as how they access your house. 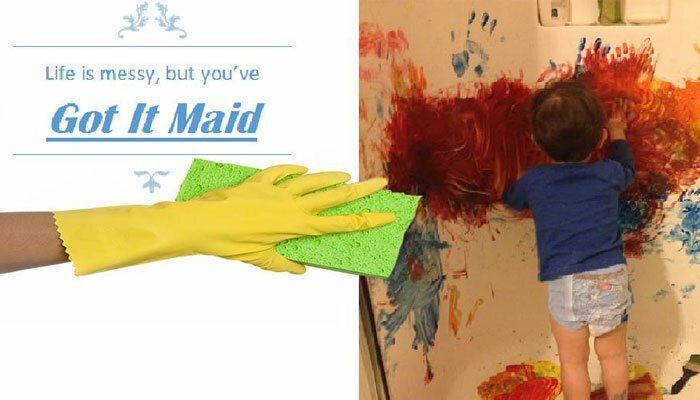 I work full time and have 2 small children so clearly I can use all the help I can get but they do a great job getting in all those nooks and crannies the kids’ messes seem to reach. I’m very happy with the service and highly recommend them without reservation! !